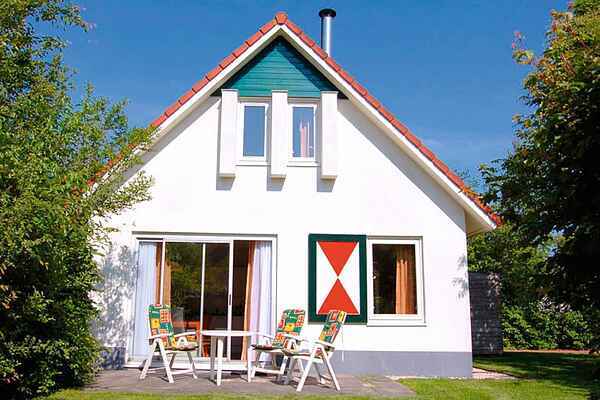 These comfortably furnished detached bungalows are spread out over the Drentse Wold holiday park. You have the choice of three different types, a 4-5 pers. variant with sauna and solarium (NL-9423-06), a 6-pers. standard bungalow (NL-9423-07) or a 6-pers. child friendly bungalow (NL-9423-08). The latter has a kids/playroom with raised bed. In the NL-9423-08 there are also toys, a cot, high chair and playpen. For the littlest ones, there is a bath, rocker, commode and dressing cushion. All bungalows have a bedroom and bathroom on the ground floor and a garden with terrace and garden furniture.